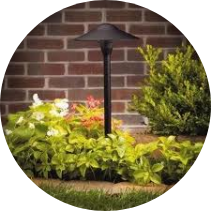 * Enhance the beauty of your Landscape and home* Landscape Lighting creates an added "curb appeal". * Professionally crafted high quality fixtures built to last. Generous and unmatched warranty programs available* Stainless Steel transformers, digital timers & photocells, * Brass, Copper or powder coated fixtures built to withstand Florida's harsh elements* Add night time security by eliminating those dark areas around your home. Let's face it, you take the time and energy to make your home look beautiful right? So why not enjoy it all the time instead of just during the day? Your landscaping will look even better by night. FREE ESTIMATES ON INSTALLS AVAILABLE SO CALL NOW!